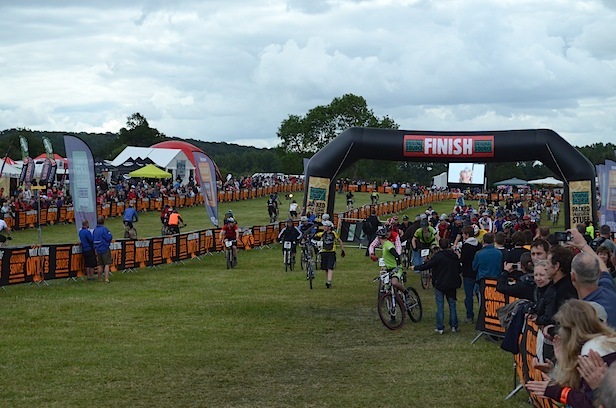 As has been the case for the past 14 years, the mountain bike tribe of Great Britain assembled in June for Mountain Mayhem. The location may have changed over the years, as has indeed the title sponsor, but the essentials remain the same. Pro’s and not-so-Pro’s riding their bikes around a race course for 24 hours. This year, for once, the weather wasn’t the main theme or topic of conversation about ‘Mayhem’. The weather switched from chilly grey to balmy sun throughout the weekend. Thankfully it only showered three times really. The most common word that sprung up whilst talking to people was ‘diversity’. No, not the ‘Britain’s Got Talent’-winning dance troupe, the diversity of the types of person seen out on the course and around the huge event village. The amount of families with kids was more than ever before too. Mayhem isn’t an off-putting cycling ghetto. 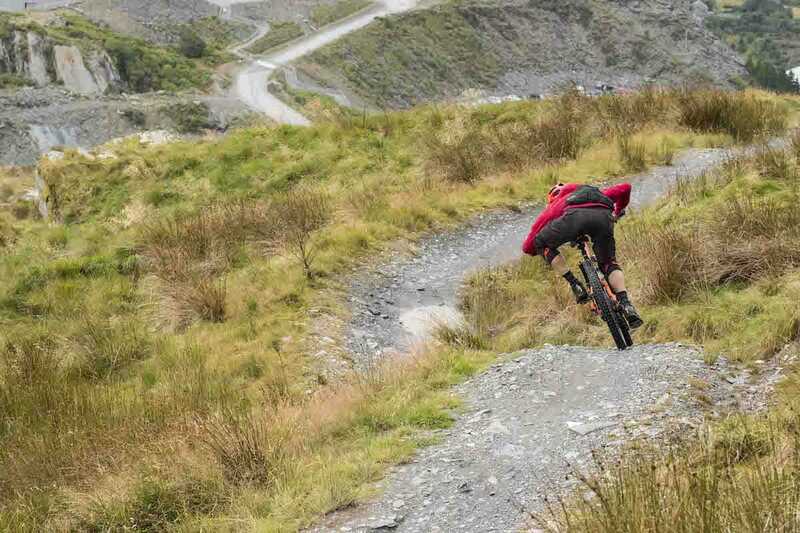 We can’t think of any other mountain bike event that has so many first-time racers and have-a-go-heroes chugging their no-frills bargain-basement bikes around the same course at the same time as Elite racers on their multi-thousand pound cutting-edge carbon machines. The fact that these two types of rider from each of end of the spectrum can ‘do’ Mayhem and not have their weekend impaired by each other is testament to this event’s genuine community spirit. The main man. Pat Adams addressing the crowds at the end and thanking everyone for everything. Event organiser Pat Adams’ opening and closing speeches to the assembled throng made frequent mention of the word ‘respect’. 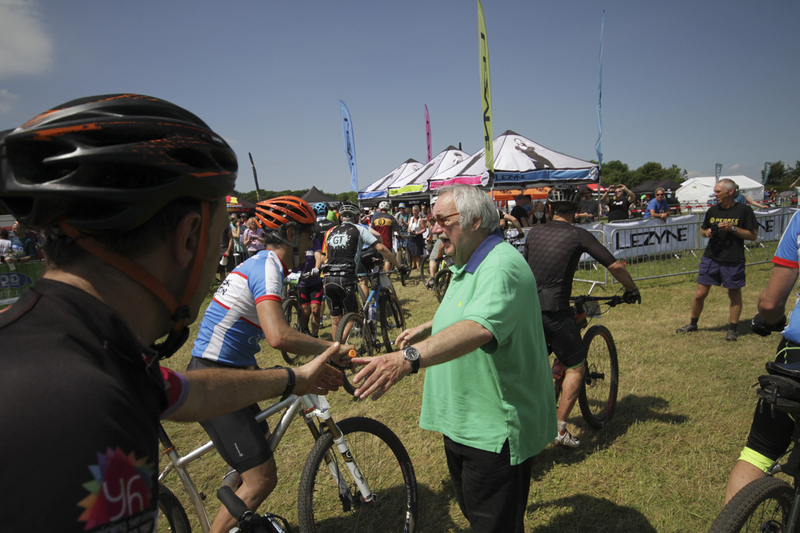 And respect was in abundance at this year’s Mayhem. All the riders were respectful of why each other was there and what they were trying to achieve. Whether it was just surviving the 24 hours or trying to get on the podium. Taking part was awarded as much merit as winning, which is how it should (but quite often is not). The course, as usual, was different to previous years. It was generally felt to be quite a physically demanding course. At 16km/10m long with seemingly much more climbing than descending it was a test for most riders to get around. 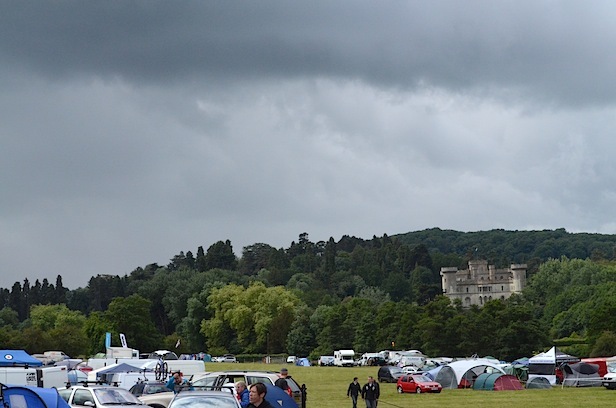 The weather behaved itself with only a couple of showers during racing which seemed to actually improve the course rather than wreck it. There were noticeably more 29ers in effect this year (especially in the Solo category) and maybe it’s us being exposed to them more but they don’t look as odd or ugly anymore do they? Have-a-go heroes. One end of the spectrum. A good ‘Sport’ category lap was about 1hr. Speedy racers were putting in some sub-50 minute times. There were also first-time teams putting in consistent 1hr 25min laps. Which of these times is the most impressive will depend on your point of view but for us, being out there trying your red-faced hardest for nearly an hour and half at a time, on a 30+lb bike with plastic pedals and V-brakes, knowing you’re going to have to do it again at some point, is much more heroic than the racers zipping around their seventh or eighth Mayhem. Having said that, the Soloists deserve every credit they get for what they put themselves through. It’s gone beyond impressive in some cases and is now bordering on being worrying! The Soloists are the (barely) walking embodiment of Mayhem. The winning Mens Soloist Anthony White did 21 laps. 21! That’s 210 miles. With a 2km run at the start. Apparently he stopped for a grand total of 5 minutes during the whole race. See what we mean? Worryingly impressive. Hope Technology had secured the services of Liam Killeen for their Expert Team. They went on to claim the top spot unsurprisingly. 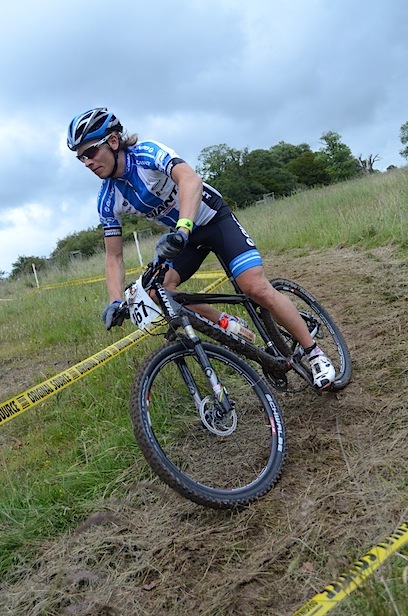 In the Expert Team category it was Hope Technology who top the top spot (29 laps), no doubt ever-so-slightly assisted by drafting in the services of one Liam Killeen. Team Scott, the team who usually win this category, came in 2nd place (also 29 laps). We’ll be putting more results up as soon as we can. The new start/finish time of 12noon seemed to go down well with both riders and spectators. It certainly got rid of the Sunday late-morning longeurs of past Mayhems and made the day feel much more interesting and involving from the get-go. Having the prize presentation at 2pm also proved to be a good idea, with a healthier sized audience than in past years. 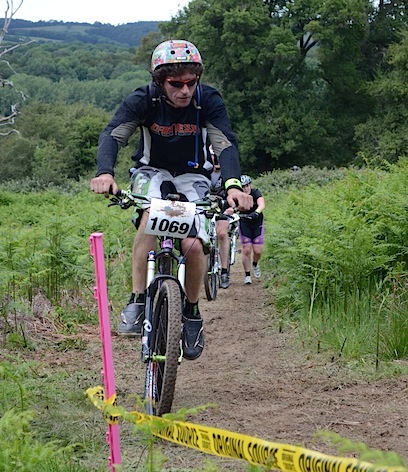 So that’s Mountain Mayhem done for another year. It was one of the good ones this year. 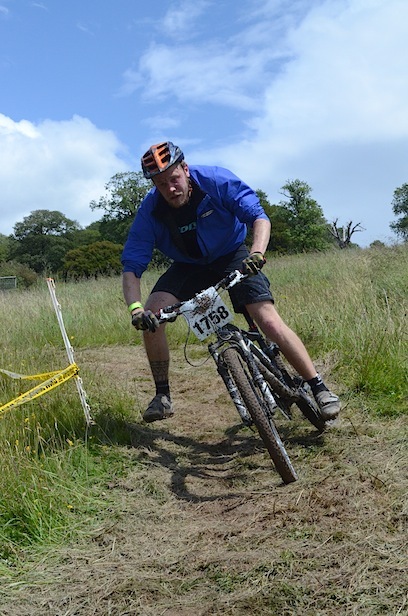 We’re already looking forward to the entry forms for 2012 Mayhem coming out. You should be too. These weren't required in the end. We're sure their owner wasn't going to get these museum pieces muddy anyway. The running start. Who let that businessman in there? Sometimes planning ahead doesn't always pan out perfectly. 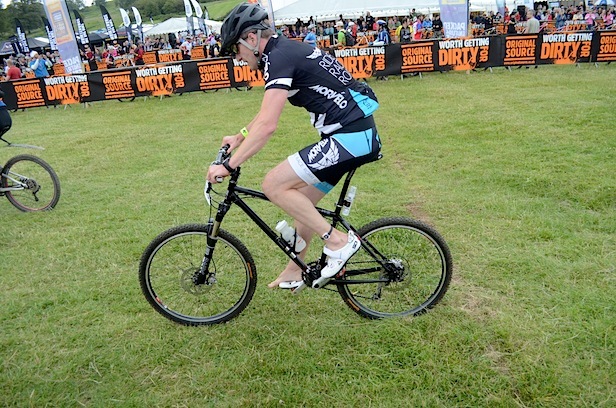 The course had some fun bits for the 'foot out flat out brigade' too. 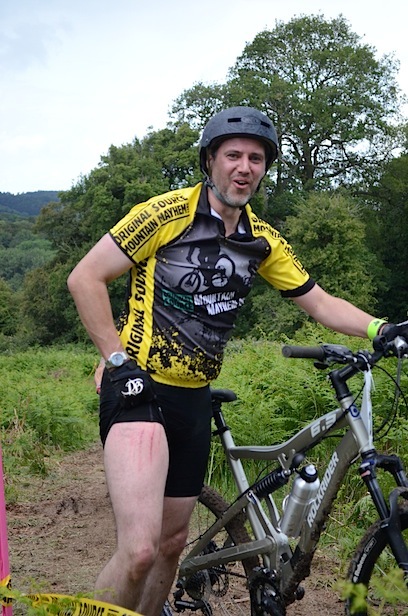 The Nicest Man in Mountain Biking (TM). Team Scott and Nick Craig battled with the Hope Technology team for glory. 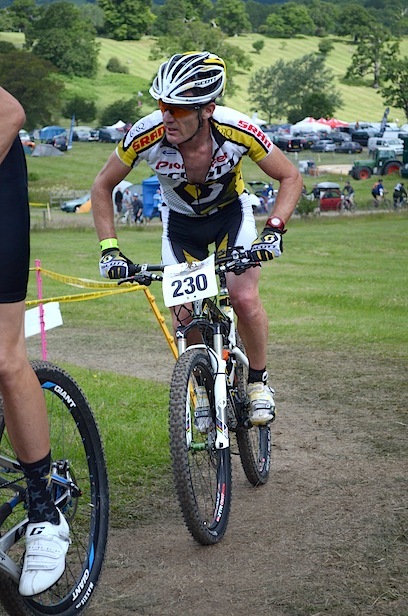 '21st Century Fred Dibhah' Guy Martin plugging away in a team. A retro rider. Complete with suitably 'God, weren't bikes awful back in the day?" expression of disgust. Scuffs and scrapes. No injuries worse than a broken collar bone during the whole weekend from what we hear. Grrrr! The other end of the spectrum. At least you're guaranteed to lose a bit of weight during Mayhem. They think it's all over. It is now. cracking event this year, course was a little harder than last year but thats not always a bad thing. Already planning next years event! Ha ha thats me behind the have-a-goer…………….or did you mean I was the have-a-goer ;-D!! Anyone checked the name of that Retro rider -Louis Cyphre perchance? No wonder he looks pissed off, his bike was probably possessed. 210 miles/21 laps… He must have been pretty dizzy by the end, good show! Massive respect to the marshalls this year. I rode solo and didn’t catch any of them snoozing the night away. You usually can’t hear your freewheel for the sound of snoring at certain times of the morning. As far as I could tell they sat tight through the whole thing. They were even there to thank as I was going past between 11:45 and 1:00pm on Sunday! The support from spectators was great this year too, although it may have something to do with my choice of attire (thats me 2446 above!). Hopefully team sumo (or ‘Newforce old farts singlespeed sumo cider riders’ to give us our full name) have raised a load of money for the Epilepsy Society – everyone round the finish area was hugely generous when we sent the kids round with the collection tins. We hope you enjoyed our disco by the lake too, and the heckling. 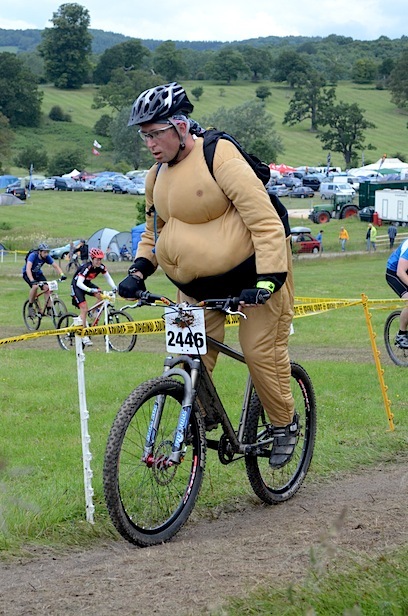 I did lose some weight, although unfortunately it stayed moistly inside the suit until the end of each lap! Great report and a great event by the sound of it. I should have Trademarked the Guy Martin/Fred Dibnah thing though! Big respec’ to the Ragley boys, btw. 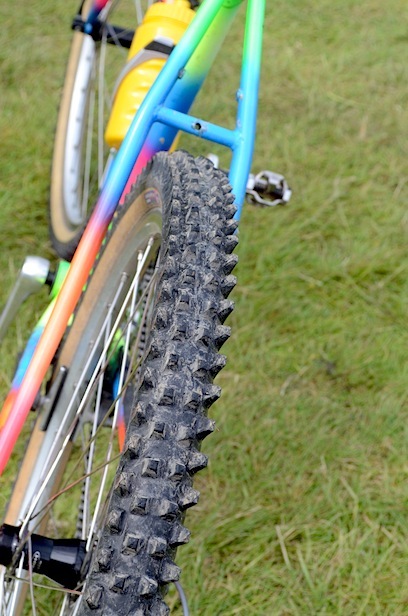 the spike tyre on the back of the Cinelli mountain bike, the multi coloured bike, belongs to graveymonster from retrobike, he did actually ride it, and pretty damn fast too! 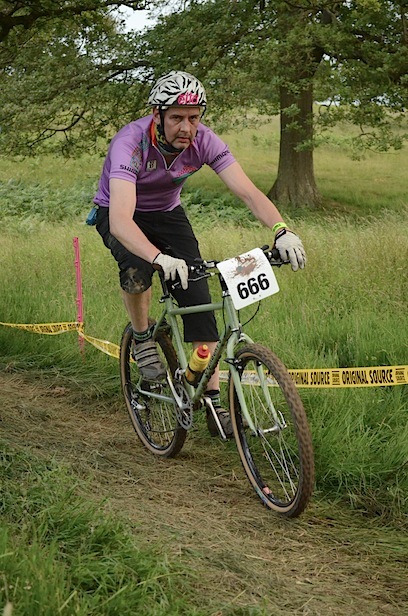 the other retro rider (666) is none other than Mr K from retrobike the organiser of the the Old World Champs for the last 2 years! 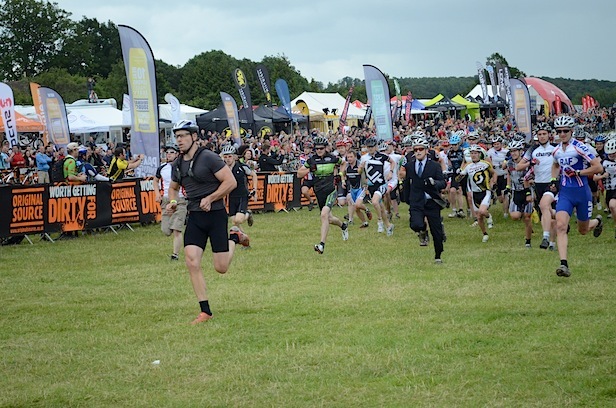 and the business man on the run is Superstrong aka Geoff, last year he was in a tom ritchey outfit and again was well up there! thanks to pat and his team for another great mayhem weekend!! see you all next year! Just about recovered now. 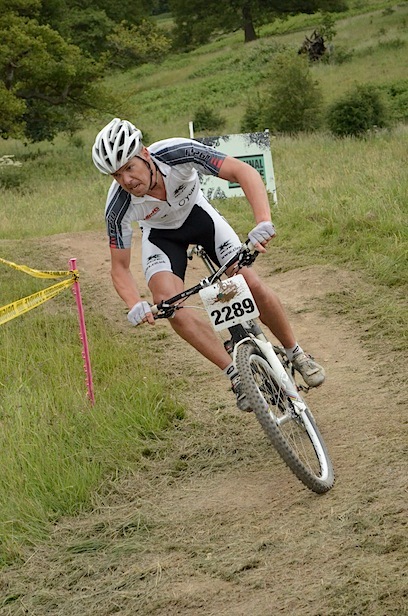 Although I think i need a couple of fillings replaced after that last downhill – i too think it should of been the highlight of the lap – but it turned into a love hate feeling. Great event though – particularly liked Darth Vadar jumping out at me at midnight complete with Light Sabre – You don’t get that at any other event! It was my first Solo attempt and must say that I thoroughly enjoyed it, except for the run that is. 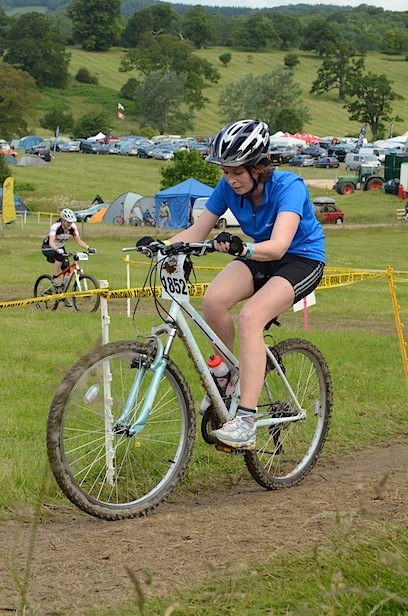 A great Idea to have a lot more of the course going through the camp site, same next year please. I hope everyone enjoyed our “JUMP OF DOOM !!!! 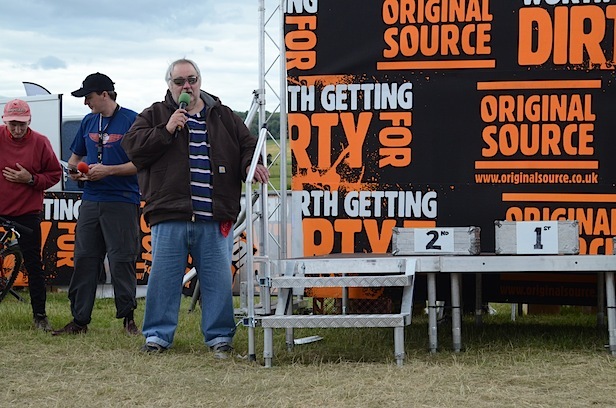 Myself and Andy Chadwick and crew put much effort into entertaining the troops…….. It seemed to do the trick !!! Keep your eye on You Tube for some video action of the said jump!! !